SOLD OUT £6.00 (incl. P+P). The Neilston & Barrhead Calendar is now into its 6th year of production. It is delivered A4 in size but opens out to A3 meaning the 12 images of the landscape can be viewed in all their stunning detail while the date pads provide loads of space to write. As always the calendar comes with its own envelope if you are wanting to send it to family or a friend. 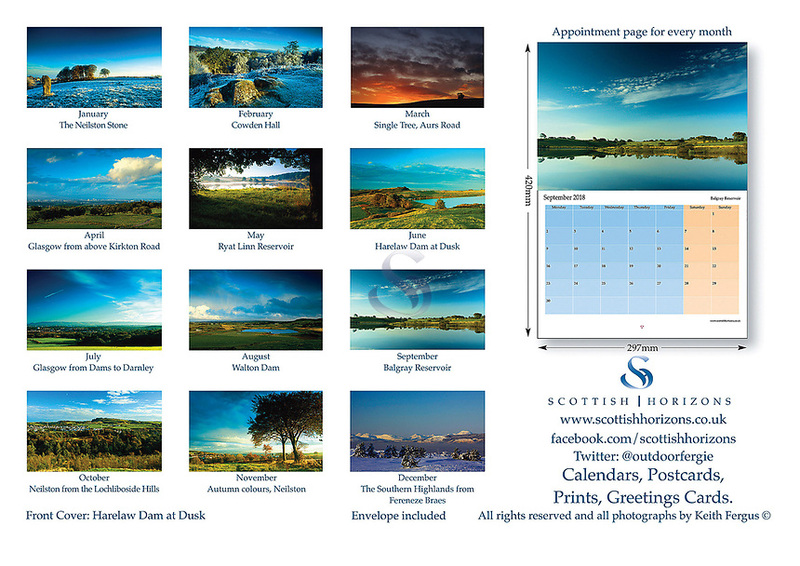 The price of the calendar is £6.00 which includes P+P within the UK. Please contact me if order is outwith the UK.